Attention all #bloggers: @AuthorGVD is gearing up for a large giveaway and blog tour. Regulars to this blog will probably guess that we've upped the giveaway ante, and this post is no different. Gaelen VanDenbergh, author of Running Against Traffic , would like to do a massive giveaway. Well, maybe not massive ... but probably the biggest giveaway we've done on this site. 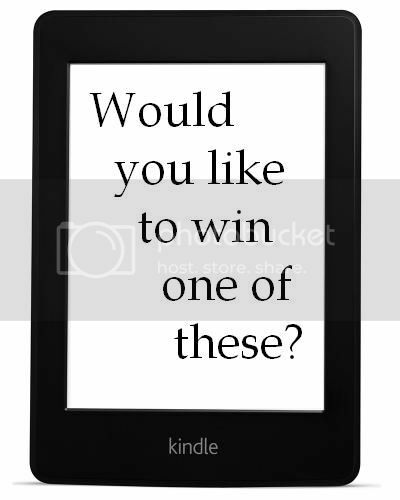 A Kindle Paperwhite will be up for grabs. Would you call that massive? Perhaps we can agree that this type of giveaway is large. This won't necessarily be the free-for-all type of blog tour that I normally organize. Because such a large prize is up for grabs, Ms. VanDenbergh will be picking which blogs will participate. She'll make her decision based upon two factors: traffic and subject. We're looking for blogs that have decent traffic, but I think the major concern is subject. She wants the blogs to be specific to contemporary fiction, women's lit, chick lit (not primary), romance, or general fiction.